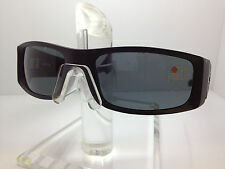 SPY Hielo Custom Replacement Sunglass Lenses Black/Grey Non-Polarized NEW!!! SPY Hielo Custom Replacement Sunglass Lenses Brown Polarized NEW!!! Mryok Anti-Scratch Polarized Replacement Lens for Spy Optic Hielo Sunglass -Opt. This page was last updated: 24-Apr 18:18. Number of bids and bid amounts may be slightly out of date. See each listing for international shipping options and costs.